Editor’s note: This is Part 6 of a 10-part series based upon Casey Luskin’s chapter, “The Top Ten Scientific Problems with Biological and Chemical Evolution,” in the volume More than Myth, edited by Paul Brown and Robert Stackpole (Chartwell Press, 2014). The full chapter can be found online here. Other individual installments can be found here: Problem 1, Problem 2, Problem 4, Problem 5, Problem 6, Problem 7, Problem 8, Problem 9, Problem 10. 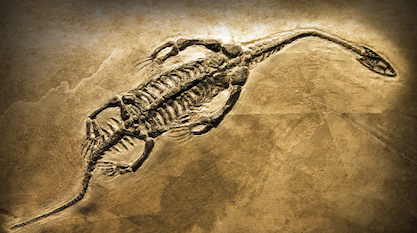 When fossils failed to demonstrate that animals evolved from a common ancestor, evolutionary scientists turned to another type of evidence — DNA sequence data — to demonstrate a tree of life. In the 1960s, around the time the genetic code was first understood, biochemists Émile Zuckerkandl and Linus Pauling hypothesized that if DNA sequences could be used to produce evolutionary trees — trees that matched those based upon morphological or anatomical characteristics — this would furnish “the best available single proof of the reality of macro-evolution.”99 Thus began a decades-long effort to sequence the genes of many organisms and construct “molecular” based evolutionary (“phylogenetic”) trees. The ultimate goal has been to construct a grand “tree of life,” showing how all living organisms are related through universal common ancestry. This assumption is essentially an articulation of a major feature of the theory – the idea of universal common ancestry. Nonetheless, it’s important to realize that it is a mere assumption to claim that genetic similarities between different species necessarily result from common ancestry. Operating strictly within a Darwinian paradigm, these assumptions flow naturally. As the aforementioned Biological Theory paper explains, the main assumption underlying molecular trees “derives from interpreting molecular similarity (or dissimilarity) between taxa in the context of a Darwinian model of continual and gradual change.”101 So the theory is assumed to be true to construct a tree. But also, if Darwinian evolution is true, construction of trees using different sequences should reveal a reasonably consistent pattern across different genes or sequences. This makes it all the more significant that efforts to build a grand “tree of life” using DNA or other biological sequence data have not conformed to expectations. The basic problem is that one gene gives one version of the tree of life, while another gene gives a highly different, and conflicting, version of the tree. For example, as we’ll discuss further below, the standard mammalian tree places humans more closely related to rodents than to elephants. But studies of a certain type of DNA called microRNA genes have suggested the opposite — that humans were closer to elephants than rodents. Such conflicts between gene-based trees are extremely common. The genetic data is thus not painting a consistent picture of common ancestry, showing the assumptions behind tree-building commonly fail. This leads to justifiable questions about whether universal common ancestry is correct. The data were so difficult to resolve into a tree that Syvanen lamented, “We’ve just annihilated the tree of life.”108 Many other papers in the technical literature recognize similar problems. Unfortunately, one assumption that these evolutionary biologists aren’t willing to re-evaluate is the assumption that universal common ancestry is correct. They appeal to a myriad of ad hoc arguments — horizontal gene transfer, long branch attraction, rapid evolution, different rates of evolution, coalescent theory, incomplete sampling, flawed methodology, and convergent evolution — to explain away inconvenient data which doesn’t fit the coveted treelike pattern. As a 2012 paper stated, “phylogenetic conflict is common, and frequently the norm rather than the exception.”118 At the end of the day, the dream that DNA sequence data would fit into a nice-neat tree of life has failed, and with it a key prediction of neo-Darwinian theory. [99.] Zuckerkandl and Pauling, “Evolutionary Divergence and Convergence in Proteins,” 101. [100.] Jeffrey H. Schwartz, Bruno Maresca, “Do Molecular Clocks Run at All? A Critique of Molecular Systematics,” Biological Theory, 1(4):357-371, (2006). [102.] Graham Lawton, “Why Darwin was wrong about the tree of life,” New Scientist (January 21, 2009). [103.] W. Ford Doolittle, “Phylogenetic Classification and the Universal Tree,” Science, 284:2124-2128 (June 25, 1999). [104.] Partly quoting Eric Bapteste, in Lawton, “Why Darwin was wrong about the tree of life” (internal quotations omitted). [105.] Carl Woese “The Universal Ancestor,” Proceedings of the National Academy of Sciences USA, 95:6854-9859 (June, 1998) (emphasis added). [106.] Graham Lawton, “Why Darwin was wrong about the tree of life,” New Scientist (January 21, 2009). [107.] Partly quoting Michael Syvanen, in Lawton, “Why Darwin was wrong about the tree of life” (internal quotations omitted). [109.] James H. Degnan and Noah A. Rosenberg, “Gene tree discordance, phylogenetic inference and the multispecies coalescent,” Trends in Ecology and Evolution, 24 (2009): 332-340. [110.] Arcady R. Mushegian, James R. Garey, Jason Martin and Leo X. Liu, “Large-Scale Taxonomic Profiling of Eukaryotic Model Organisms: A Comparison of Orthologous Proteins Encoded by the Human, Fly, Nematode, and Yeast Genomes,” Genome Research, 8 (1998): 590-598. [111.] Elie Dolgin, “Rewriting Evolution,” Nature, 486: 460-462 (June 28, 2012). [112.] Liliana M. D�valos, Andrea L. Cirranello, Jonathan H. Geisler, and Nancy B. Simmons, “Understanding phylogenetic incongruence: lessons from phyllostomid bats,” Biological Reviews of the Cambridge Philosophical Society, 87:991-1024 (2012). [113.] For example, see BSCS Biology: A Molecular Approach (Glencoe/McGraw Hill, 2006), 227; Sylvia S. Mader, Jeffrey A. Isaacson, Kimberly G. Lyle-Ippolito, Andrew T. Storfer, Inquiry Into Life, 13th ed. (McGraw Hill, 2011), 550. [114.] See Michael S. Y. Lee, “Molecular Phylogenies Become Functional,” Trends in Ecology and Evolution, 14: 177 (1999). [115.]W. W. De Jong, “Molecules remodel the mammalian tree,” Trends in Ecology and Evolution, 13(7), pp. 270-274 (July 7, 1998). [116.] Trisha Gura, “Bones, Molecules or Both?,” Nature, 406 (July 20, 2000): 230-233. [117.] Antonis Rokas & Sean B. Carroll, “Bushes in the Tree of Life,” PLoS Biology, 4(11): 1899-1904 (Nov., 2006) (internal citations and figures omitted). [118.] Liliana M. D�valos, Andrea L. Cirranello, Jonathan H. Geisler, and Nancy B. Simmons, “Understanding phylogenetic incongruence: lessons from phyllostomid bats,” Biological Reviews of the Cambridge Philosophical Society, 87:991-1024 (2012). Image by Ernst Haeckel [Public domain], via Wikimedia Commons.